Newcomer Family Obituaries - David Lee Dykes 1985 - 2019 - Newcomer Cremations, Funerals & Receptions. 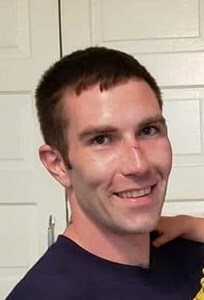 David Dykes, 33, beloved father, son, brother, grandson, uncle, nephew, cousin and friend, went to be with the Lord on April 6th, 2019. He loved spending time with his two beautiful children, riding his Harley, coaching his daughter’s softball team, running after his son, listening to music, bowling, permanently borrowing everyone’s lighter and burning stuff on the grill. David Lee was a hardworking man, who loved his family greatly and he will be incredibly missed by all. David has met up again with his father, Richard James. He is, also, preceded in death by his paternal grandparents, Ray and Nancy James. He will be greatly missed by his daughter Kaylee Dykes, longtime friend Kristi Comparda and their son Carson Dykes; his mother and step-father, Dana and Larry Magel; siblings, Jesse James, Michelle James, Dara Dykes, Alicia (Justin) Kelly, and Konnor Hillman; maternal grandparents, Robert Dykes and Bonnie Dykes; niece, Emily Dykes; nephews, Aiden Lee Dykes, and Kohler Commisso; and several loving aunts, uncles, cousins, and friends. Family and friends are welcome to visit from 2pm - 4pm on Saturday, April 13th, 2019 at Newcomer Funeral Home, 131, N. Canton Rd., Akron. Funeral service at 4pm. Add your memories to the guest book of David Dykes. I was so very sorry to hear about the loss of your son David Lee Dykes.....I will keep you and your family in my prayers. I pray that God comforts you and keeps you and the family in his care during this difficult time. Dana, I'm so deeply sorry to hear about this. You and your family will be in our thoughts and prayers. Dana. So sorry for your loss. I never met David but feel I knew him thru Jims eyes he thought highly of him and talked of him often. You and Kaylee are in my prayers. I think of you often. Virginia Hawley Cross. I would like to express my sincere condolences for your family’s loss. Losing a loved one in death is one of the hardest things anyone has to go through. However, this is not something our loving God ever wanted us to experience. He promises that soon all sickness, pain, suffering, and even death will be done away with forever (Revelation 21:3,4). May this beautiful promise bring you great peace and comfort during this difficult time. Riding bikes to your house after school and meeting up with friends. Hanging out in the glow lights and just laughing with everyone because we were young and silly and not a worry in the world. Until we meet again friend!